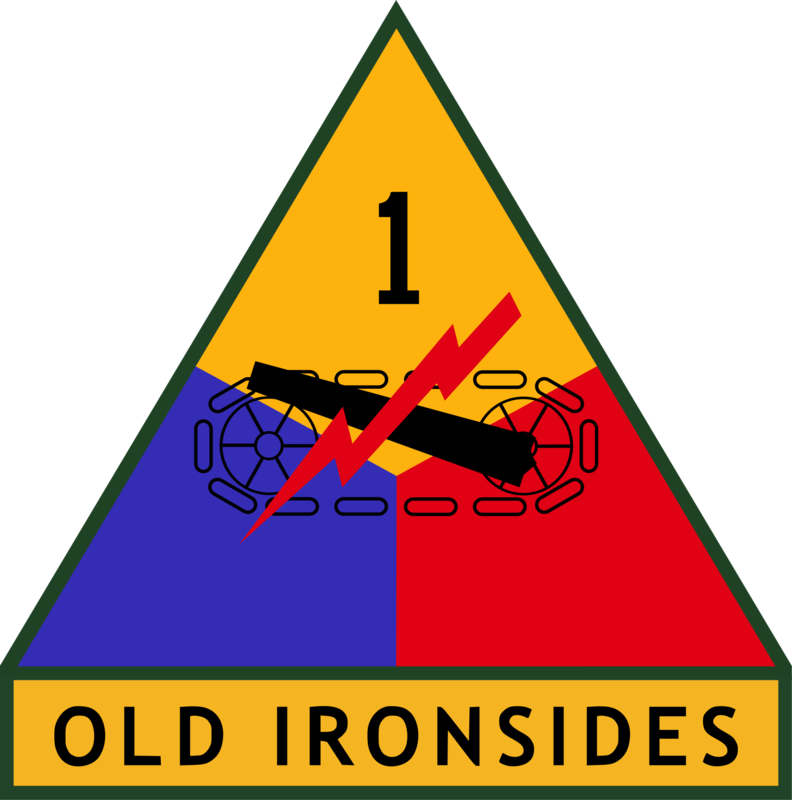 The 1st Armored Division was the first American armored division to see combat in World War II. As part of Operation Torch, the division first fought the Germans in a series of back and forth battles across North Africa. After gaining experience, the unit was finally able to defeat Rommel and the German Afrika Korps in the Battle of Djebel Achtel, leading to the surrender of the Afrika Korps a few days later. The 1st Armored Division was then part of the invasion of Italy. It first helped breach the heavily defended Winter Line, then proceeded to flank and defeat German forces during the Anzio landings. Afterwards, it launched an offensive north, breaching German lines and chasing Axis forces farther north. Before it experienced anymore combat, it was reorganized so that it could fight more efficiently in the mountains of Italy and the Po Valley, where it fought until the May 2 surrender of German forces. It did not fight in the Korean War, instead it trained for anticipated atomic warfare. During the Cuban Missile Crisis, it was prepared to launch an amphibious assault on Cuba. The unit as a whole did not fight in the Vietnam War, but two of its sub-units did, both earning Presidential Unit Citations for valor. During the Gulf War, the division acted as an armored spearhead, breaking through Iraqi lines and sweeping through Kuwait. Its first major engagement of the war was the Battle of Al Busayyah, where it used superior tactics and technology to wipe out Iraqi Republican Guard units. It then proceeded to fight in the Battle of Medina Ridge where, in the largest tank battle in American history, it managed to wipe out hundreds of Iraqi vehicles while taking very few casualties. The division deployed to Iraq after Operation Iraqi Freedom in order to combat terror and stabilize its area of operations. During its multiple deployments to Iraq, the division created new tactics and strategies to deal with the insurgents and eventually was able to mostly pacify its area of operations. Its last deployment was to Afghanistan where it helped fight terror and turn the Afghan National Army units in its sector into an effective force. Afterwards, it rotated back to Fort Bliss in the United States.